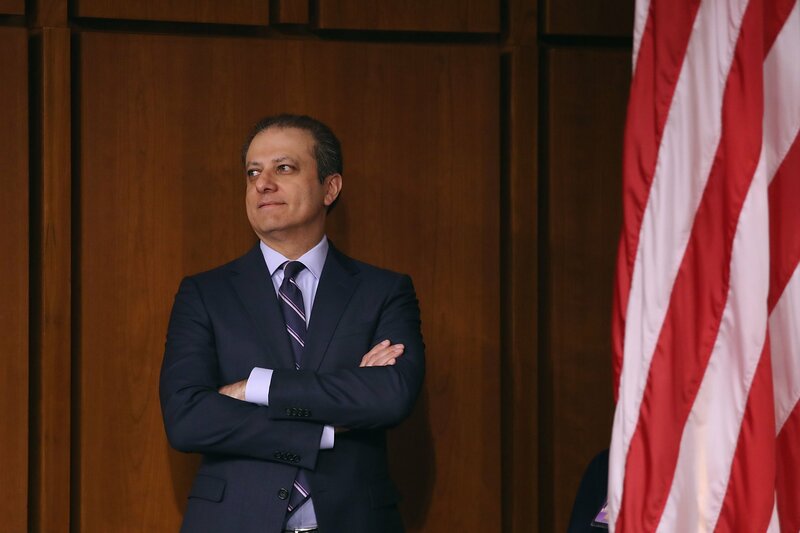 Preet Bharara—the former U.S. Attorney for the Southern District of New York (SDNY)—laid out his theory on Tuesday that his former office might’ve have already indicted President Donald Trump if he were not the commander-in-chief. Bharara appeared on MSNBC’s Morning Joe and talked about a number of issues in the news, including the SDNY investigation. MSNBC host Willie Geist asked him: “What is the legal peril for President Trump, specifically with the Southern District of New York?” Bharara gave a response worth seeing in full, which lays out exactly why he thinks Trump would likely be under indictment if he weren’t president. In his interview, Bharara attempted to temper some anti-Trump folks’ hopes regarding the final report from special counsel Robert Mueller, which has been eagerly awaited by some on the left. He has said in multiple interviews that it may be overly optimistic to expect Mueller’s work to bring about Trump’s removal from office.